Founded in 1833 by Henry Carlisle, his Philadelphia-based company originally fashioned horn, ivory, and tortoise shell into Spanish combs for the Southern aristocracy. The company diversified into other hair ornaments and umbrella handles after the Civil War. 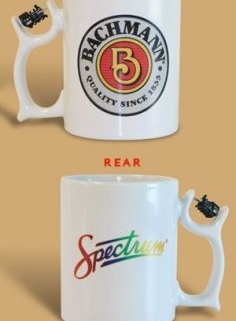 In 1899, the firm merged with a competing company operated by master carver Henry G. Bachmann and his son, Walter J. Bachmann.Adapting to changing times, in 1912 the company began using a new material, celluloid, to manufacture eyeglass frames. After Henry G. Bachmann’s death in 1914, the company changed its name to Bachmann Brothers. In 1929, Bachmann Brothers moved to more spacious headquarters at 1400 East Erie Avenue, Philadelphia, where it remains to this day. It continued to specialize in injection molding and was the first American company to manufacture prescription sunglasses.During World War II, the company manufactured products to support the war effort including sunglasses for U.S. Army and U.S. Army Air Force personnel along with protective eye devices and submarine battery caps. The growing company came under the control of J.C. and B.H. Crowther, nephews of the Bachmanns.In the post-war years, its product line included Birds of the World Model kits, shooting glasses, and ski goggles. Its popular Solarex® sunglasses were worn worldwide. Bachmann used its expertise in injection molded plastic to enter the model train field with Plasticville® U.S.A. These easy-to-use snap-together kits of buildings proved to be an immense hit and became must-have accessories for electric trains. Plasticville® U.S.A. is still one of Bachmann’s favorite product lines and now includes “pre-built” buildings.Bachmann continued to diversify in the ’60s and ’70s, including among its many ventures slot cars, toy airplanes, plastic animal sets, robots, and cassette cases. As model railroading became more popular, the company supplied everything from trains to scenery to whole villages, eventually turning to Kader Industrial, Ltd for manufacturing support.Founded in 1948 in Hong Kong, Kader was established to produce models and toys for export. Starting in 1969, Kader made the first model trains for Bachmann, and the two companies worked hand in hand to create quality model railroading products for the discerning hobbyist. 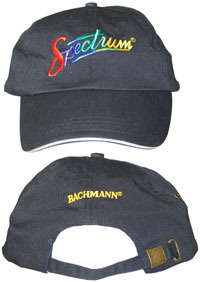 Kader acquired Bachmann from the Crowthers in 1981 and renamed it Bachmann Industries. Kader has grown to become the world’s largest manufacturer, by volume, of model railroads.Bachmann Industries continued to lead the way in innovative model railroading. 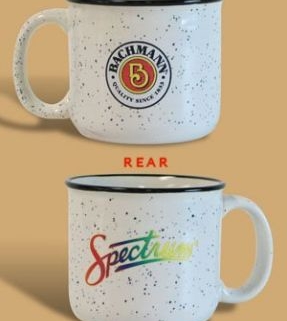 Bachmann introduced its premium Spectrum® line in 1988, which emphasizes highly detailed, faithfully reproduced locomotives and train sets. In 1988, Bachmann created the Big Haulers™ line in Large Scale. The company was delighted to become the distributor of Thomas & Friends™ in the United States in 2002, and now delivers these beloved locomotives, train sets, and accessories to aspiring engineers in both HO and Large Scale. Bachmann acquired Williams Electric Trains in 2007 (now known as Williams™ by Bachmann) to expand its offering of O gauge three-rail trains. We are the only model train company to offer HO, N, On30, O, and G scale lines.Now in our third century, we continue to adhere to our founder’s vision of providing fine craftsmanship at affordable prices while striving to bring our customers the variety of choices and innovation guaranteed by the Bachmann name.